Ubudu – How Hospitals can improve their care quality, using indoor location ? How Hospitals can improve their care quality, using indoor location ? Location tracking of medical equipment, staff and patients enables hospitals to generate operational gains in the millions of euros. It helps staff to save time in order to provide better care. 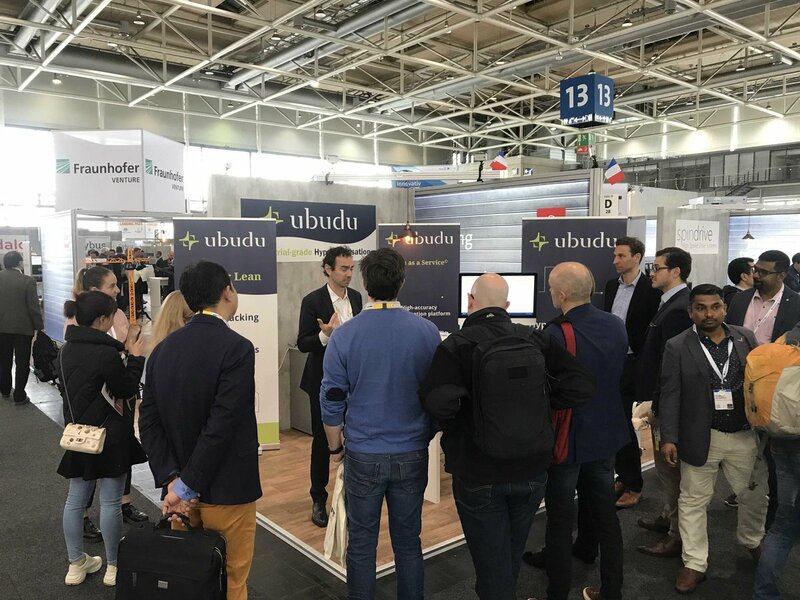 Ubudu indoor location solution helps improve several operational processes using a single and small investment. Most hospitals face a growing patient inflow, but with fewer financial and human resources. In the United Kingdom, there is an average of 2.6 beds for 100,000 inhabitants, which is a lot below the European average. Doctors and nurses are monopolized by logistical tasks, and lack time to provide proper medical care. Scandinavian countries have started digitalizing patient data, using social medias and setting up geolocation systems within the hospitals for the past twenty years. This brings benefits to the hospital staff, to the patients, and generates a return on investment running in the several hundreds of thousands of euros. GS1 association surveyed 1,000 nurses: 47% of them report wasting between 1 and 6 hours a day searching for medical equipment inside the hospital. A solution consists to use a location tracking system made of anchors placed in different zones, and tags hung to the equipment. It allows to geolocate assets in real-time through a mobile application or a web page. Location tracking prevents from losing time searching for equipment, but also from unnecessary costs of repurchasing equipment available and not found. Indeed, the equipment inventory of hospitals is often more important than needed, because of the loss of numerous equipment. This surplus is estimated at 30% on average. It also leads to additional costs in maintenance and overhaul. Finally, location tracking is an efficient way to avoid theft, using alarm mechanisms, triggering whenever an equipment leaves its usual area. There is no official data to quantify the cost of theft, but all the medical staff we met agreed that it amounts to millions of euros. Using a single location tracking infrastructure for equipment, hospitals can achieve 4 different benefits: reducing their surplus costs in CAPEX, reducing their maintenance costs in OPEX, avoiding thefts, and saving time to provide care to patients. Waiting times in hospitals may be difficult to manage. A patient journey is supervised through different software applications, in which human errors may be frequent. Resulting waiting times can have dramatic consequences on the health condition of the patients, for instance if there is too much wait at the emergencies. RTLS (Real-Time Tracking System) in hospitals, by providing badges or a mobile application to patients whenever they arrive, allows to facilitate the management of their waiting time, and make data more reliable. It allows to identify and optimize their movements, as well as prioritize staff allocation. Overall it helps reduce the total duration of the patient journey, better exploit the real estate, and improve patient satisfaction. For instance, the Brest hospital in France plans to rehaul the management of patients’ journey in 2019, beginning with a pilot deployment in the nuclear medicine service. The hospital of Sables-d’Olonne, France, published a mobile app for location-based alerts, in order for staff to obtain extra help faster, when a medical situation requires it. Elsewhere, in China, medical staff is in demand for a location-based alarm system too. In this case the reason is that they are often assaulted by patients or relatives, due to the stress generated by the waiting time, which can reach 20 to 40 hours. Location tracking also helps to ensure infant safety by protecting them from theft, with an alarm system detecting when the child is outside a designated area. Similar system can be applied to protect runaway patients using dedicated wristbands, or to react faster upon a patient fall onto the ground, using location and accelerometer-equipped wristbands. Digitalization of the patient journey has already proven to effectively optimize the hospital operations. Indoor positioning is a critical building block of this digitalization, and Ubudu is an expert of this type of solution since 2011. Do not hesitate to contact us for more information about our solutions for hospitals, and how they can fit to your needs. Sources : HIMSS, Acteurs Publics, OECD, Tic Santé.